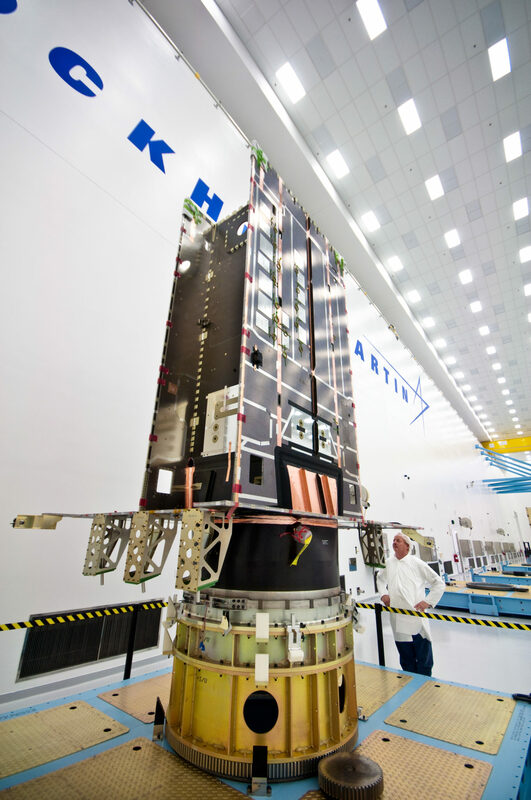 [Via Satellite 12-16-13] The U.S. Air Force has awarded Lockheed Martin more than $200 million in contract options to complete production of its fifth and sixth next-generation Global Positioning System satellites, known as GPS 3. In February, the Air Force awarded Lockheed Martin a fixed price $120 million contract to procure long lead parts for a second set of four GPS 3 space vehicles (SV 05-08). This new award provides funding to complete the first two satellites (SV 05-06) in this order. Full production funding for the next two space vehicles (SV 07-08) is expected in 2014. Lockheed Martin is already under contract to produce four GPS 3 space vehicles (SV 01-04). 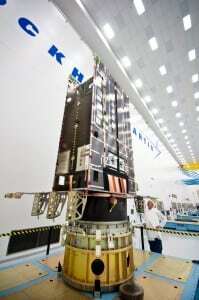 The first two are currently on the production floor at Lockheed Martin’s GPS 3 Processing Facility (GPF) in Denver, Colo.
GPS 3 satellites will deliver three times better accuracy, provide up to eight times improved anti-jamming capabilities, and include enhancements which extend spacecraft life 25 percent further than the prior GPS block. It will be the first GPS satellite with a new L1C civil signal designed to make it interoperable with other international global navigation satellite systems. Lockheed Martin is the GPS 3 prime contractor with teammates Exelis, General Dynamics, Infinity Systems Engineering, Honeywell, ATK and other subcontractors.